Hi Everyone! 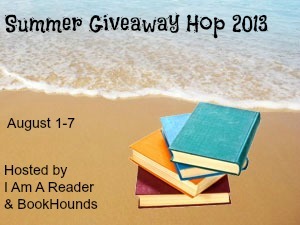 I want to remind you to stop by and enter by Summer Giveaway Hop. It posted at midnight so you might not see it since I normally post in the mornings. I've got lots of fantastic choices for you. You can enter the contest HERE. Wow, I haven't read any of them! That is a pretty unique story to signing with an agent. i can honestly say I haven't heard that approach before. :) Congrats!